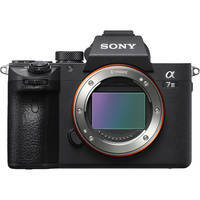 Sony is pushing its current cameras to the limit with the release of firmware version 3.0 for the Sony a7 III and the a7R III. Being a major update, there are some noteworthy changes coming to both cameras. Primarily, this affects autofocus, which will now benefit from the AI-backed Real-time Eye AF function and Real-time Animal Eye AF. Sony uses machine learning to identify and track the eyes of humans and animals alike in your images. Additionally, it adds a built-in interval timer, meaning photographers no longer need to rely on external devices to program and capture time-lapses. You can download and install this firmware today. For the a7R III, please visit Sony’s page for the Windows or Mac download and, for the a7 III, please visit these pages for Windows or Mac. I keep waiting for the R III replacement. Had I known that they were going to extend time between models with updates I would have bought one early on. I was so disappointed with focus speed on the A7 II and wanted a faster version. Maybe Christmas? Warning, this is completely speculation and Sony has been known to have surprises, but I wouldn't expect an R III replacement any time this year. We are still waiting for an a7S II replacement and considering the recent firmware updates and competing products, I don't see Sony being in any rush to push one out as they have in the past. This is just my own personal guess though.